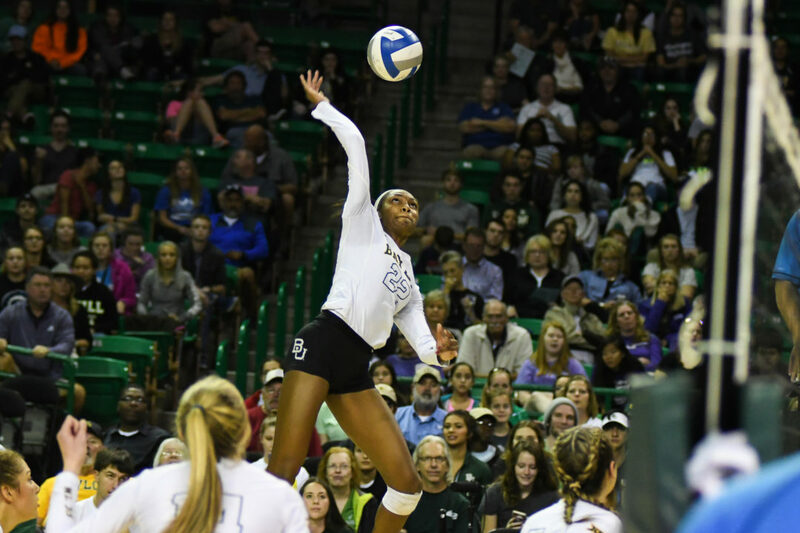 Sophomore Yossiana Pressley guided 12th-ranked Baylor to a 5-set victory over RV Iowa State with a school record and career-high 39-kill effort. She is the first Bear since 2001 to register 35 kills in a match and the first to ever to reach 39 in a single match. The previous record of 36 was set by Elisha Polk on Nov. 21, 1998 against Kansas State and matched by Stevie Nicholas on Oct. 20, 2001 at Kansas. With the win, the Lady Bears rebounded from their Big 12-opening loss to Texas Tech and evened their conference mark, 1-1. Baylor has defeated the Cyclones in each of the last 3 matchups in Ames, Iowa. After dropping the opening set to Iowa State, 25-15, Baylor rallied back with back-to-back wins in the second and third sets, 25-19 and 25-14, respectively. The Cyclones would not surrender, registering a 25-22 win in the fourth set to force a fifth, deciding set. The Lady Bears jumped ahead, 4-1, in Set 5 and extended their lead to 9-3 with a 5-1 stretch. Baylor solidified the victory at 15-8, with a 4-1 closing run. Pressley registered a .390 attack percentage to go along with her school record 39 kills and 13 digs. Aniah Philo compiled a double-double with 12 kills and 15 digs, while Hannah Fluegel notched 52 assists for Baylor. Jess Schaben (20 kills), Candelaria Herrera (16 kills) and Grace Lazard (10 kills) posted double-digit totals offensively for Iowa State. Piper Mauck logged 46 assists and Hali Hillegas tallied 22 digs.